Abi Angus is a trainee researcher at LKMco. 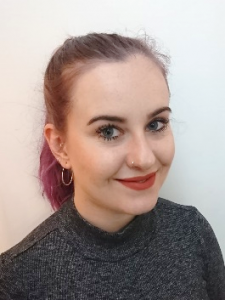 Abi brings years of experience working with marginalised groups of young people and their families and is excited to use this alongside the research skills she will gain during her traineeship. Previous roles include supporting young people with challenging behaviour accessing play and youth projects, running a national education support project for Gypsy, Traveller and Roma families and designing support plans for young people displaying challenging and high-risk behaviour in care and youth work settings. Her experiences in these roles have fuelled a passion for inclusion, alongside a belief that education is key in creating a more equal and inclusive society. Abi has a BA in Community Development and Youth Work and is currently studying towards an MA in Education Policy and Society, aiming to use her experience on the ground to contribute to change at policy level.